Filters in the digital age. Soft, neutral grey gradual, polariser, neutral density. A soft focus filter will push the highlights into the shadow areas like dark hair, smoothing the skin and giving a healthy glow to a portrait. Blemishes and lines on the skin will be diminished. The filter has less effect on the shadows so hair will appear sharper in respect to skin tones. The advantage of using the filter as opposed to Photoshop is time – just put the filter on and off you go. I usually take some shots without the filter to show the sitter the difference – they always prefer the filter ones. I use soft focus usually with women of all ages and children, but rarely with men. I usually shoot outdoor portraits in the shade or in the evening using a wide open aperture so I use a screw type, weak filter. Softness depends on aperture so the wider open the lens the softer it gets – it will be softer at f2.8 than f11. You may not notice it at all at f22. In the studio or on location with lights I use a Cokin filter usually of medium strength the reason being that I may be using f11. As an alternative you can use the old Hollywood technique of gauze or a piece of stocking pulled tight over the lens. On location the contrast range maybe too high between highlight and shadow and in this situation a soft focus filter will help lower contrast. A word of caution. 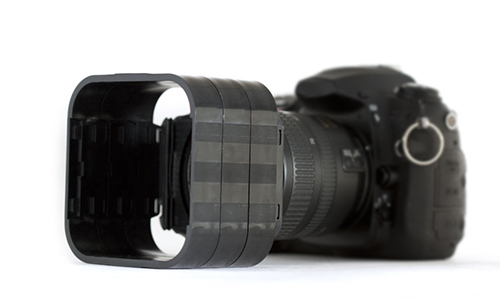 Flare can become a problem so it’s wise to use a lens hood, or in the case of the Cokin type system, clip on matte boxes – just a cheap plastic clip-on modular system but it makes all the difference. You can add one, two or three. Cokin is a good and economical system but their filter boxes will drive you nuts, I suggest their P series filter wallet. All this stuff you can find on Ebay.